Christmas in Wisconsin just isn’t complete without a visit to a real tree farm. 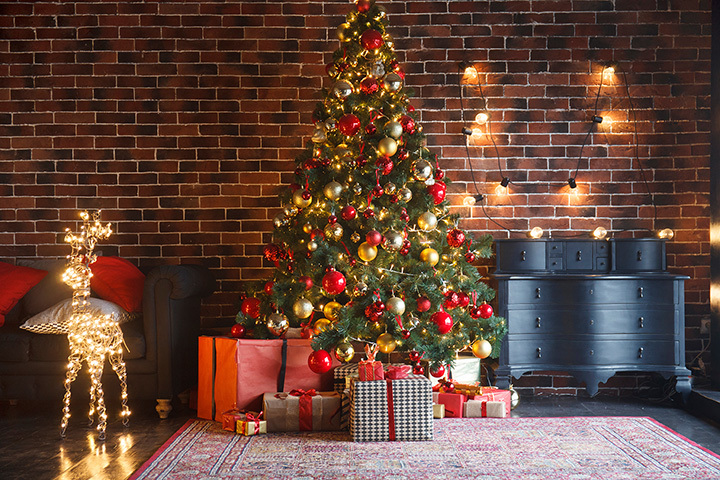 Picking out that perfect tree for the holidays is something families look forward to year after year, giving everyone an enjoyable way to kick off the season. These 10 best Christmas tree farms have your ideal Christmas tree ready for you to come cut it down. This family-run Christmas tree farm combines some of the most beloved elements of the season. U-cut Christmas trees, horse-drawn wagons, Christmas gift shop, hot apple cider, Santa Claus, and scenic woodland trails combine for a whole day of cold-weather fun. They’re also the local’s favorite place to stock up on chestnuts for the open fire. If you want to make a whole weekend out of your Christmas tree shopping, you’ll want to come to this woodsy retreat. This mega Christmas tree farm has thousands to choose from and will easily become an annual must-visit. Plus, their quaint lodgings are perfect for a quick getaway, family celebration, or any occasion when you want to reconnect with nature. This historic farm is nothing short of charming. Start your holidays with a covered wagon ride to the Christmas tree fields, where you can find that perfect tree for your home. Then head back for family-friendly games and holiday goodies that will warm you from the inside out. One of the most eco-friendly Christmas tree farms in the state, the folks here have worked hard to craft an experience unlike any other. Their trees are raised without chemicals or sprays to give you the best quality and fragrance. From horse-drawn wagon rides to fresh baked goodies, you’ll want to stay and soak up the holiday spirit. Their name isn’t just a name—it’s a reflection of the type of experience you can expect. Synonymous with a traditional country Christmas, you and your family can head to the fields to cut your very own Christmas tree. Then come back and enjoy a visit with Santa Claus, explore the country store, and warm up with free hot chocolate, cider, and popcorn. Folks love coming here for the U-cut Christmas tree experience. But if you’re not up for all that labor, they’ll be happy to cut the tree of your choice for you. Or, choose from a selection of pre-cut trees for a quick and easy shopping trip. One trip here and you’ll wish it could be Christmas every day. This choose-and-cut farm brings you to thousands of trees that make it hard to choose just one. They also offer homemade wreaths and garlands, as well as fresh maple syrup they produce themselves. This family-owned tree farm serves up the authentic choose and cut experience. Perfect scenery combines with hand-tended Christmas trees and handcrafted greenery to make your holiday merry and bright. Kids love coming here because of the charming gingerbread playhouse and other whimsical elements that are straight from a fairytale. As soon as the Thanksgiving turkey is put away, you’ll want to head to this tree farm to start crafting your holiday home. Their U-cut option lets you find the tree of your Christmas dreams, then bring it back to enjoy other holiday festivities. Free coffee, goodies for the kids, and a family wagon ride will make you feel like Christmas came early. Bring the whole family to one of the state’s longest-standing Christmas tree farms. Operating for over 35 years, this farm remains a top family tradition for locals and travelers alike. You can take your pick of thousands of trees, including Fraser fir, scotch, and white pine.